Home > Hot Toy Reviews > Hunt the World’s Most Notorious Vampire in Fury of Dracula 4th Edition—Available Now! 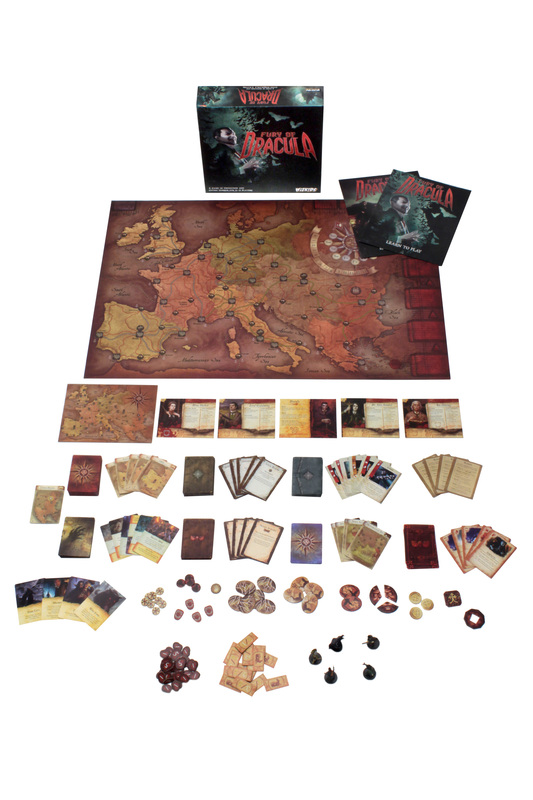 Hillside, NJ – January 2, 2019 – WizKids is excited to announce that the 4th Edition of iconic asymmetrical horror game Fury of Dracula is now available in North American game stores! This new edition of the popular game includes larger cards, a refreshed rulebook, and all-new pre-painted miniatures to create a more immersive experience for players as they travel the European continent. Will the Hunters take down Dracula before his undead thralls overwhelm Europe, or will he succeed in his insidious mission? Pick up Fury of Dracula at your Friendly Local Game Store or Online today and find out!